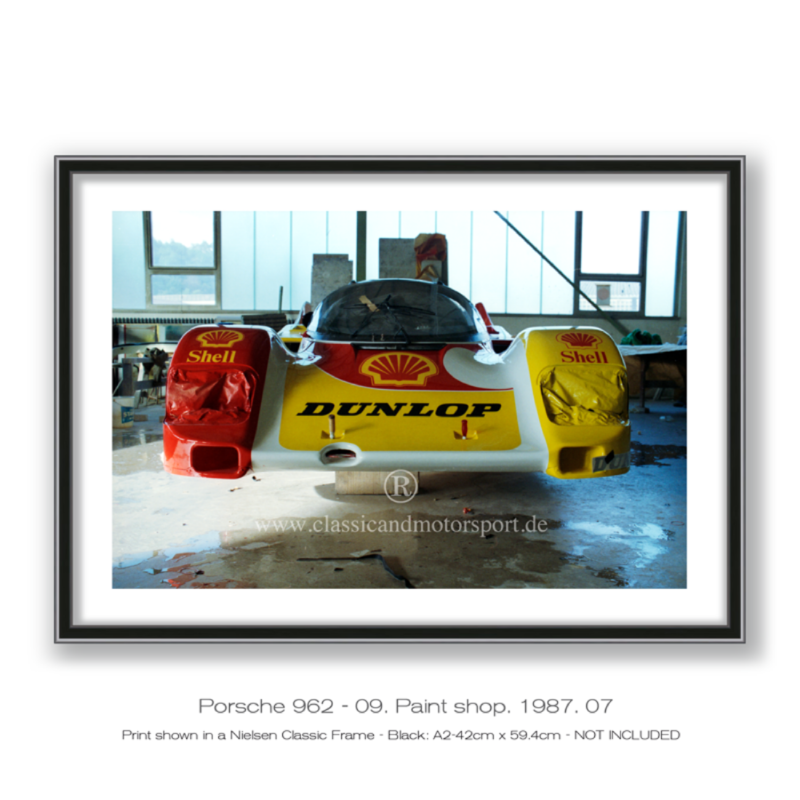 In 1987 Dunlop and Shell sponsored a 962c with the Nr. 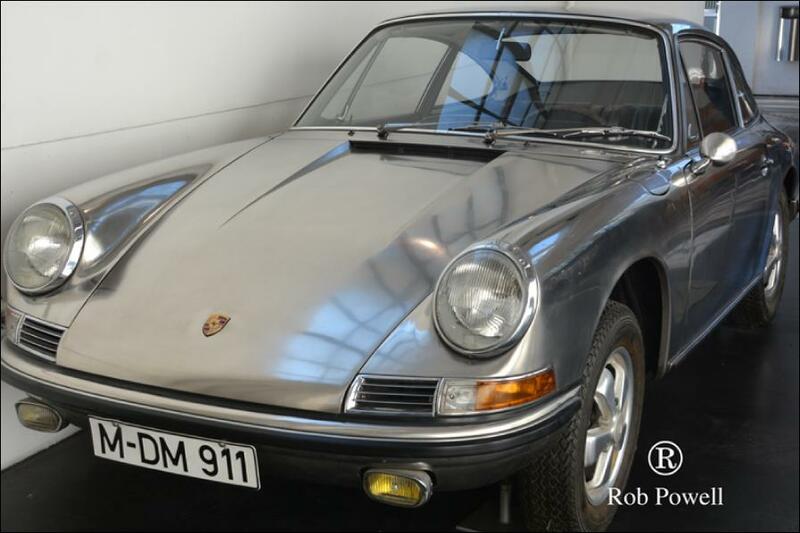 17 to be driven by Hans Stuck at the Super Cup race on the Noris Ring. 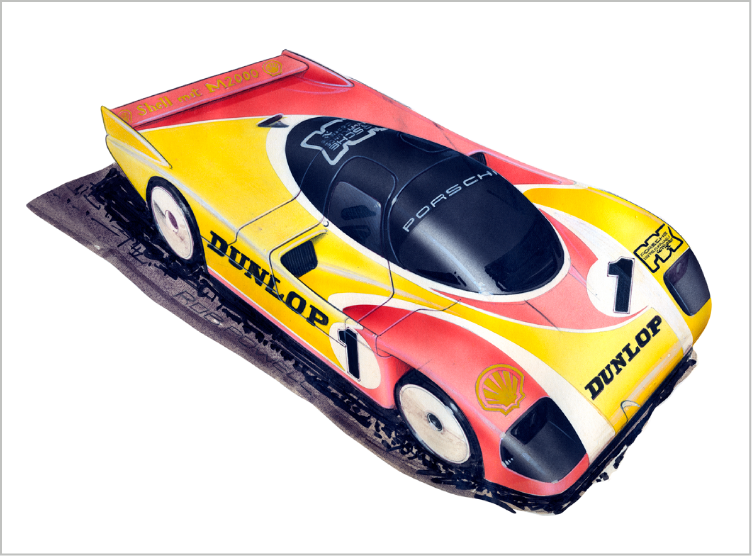 I designed an asymmetrical Livery for the Shell / Dunlop cars which gave both the main sponsors, Shell and Dunlop as equal as possible colour areas for their respective logos. 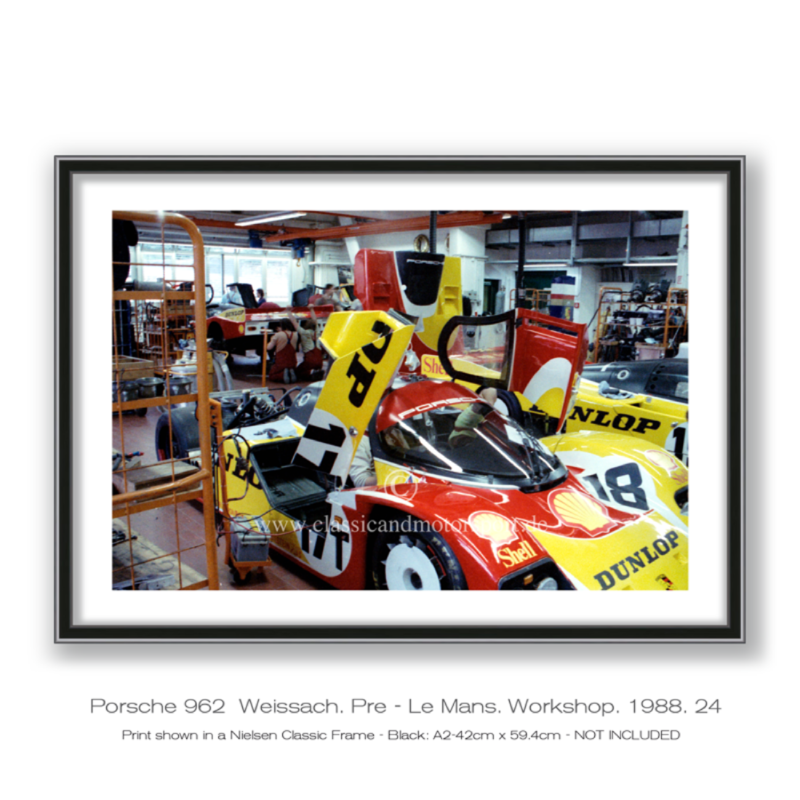 The Paints shop photos show the first car receiving its iconic livery and these are followed by pictures taken during the very first press photo shooting at Weissach in 1987 shortly before the 1987, Noris Ring, Super Cup race. 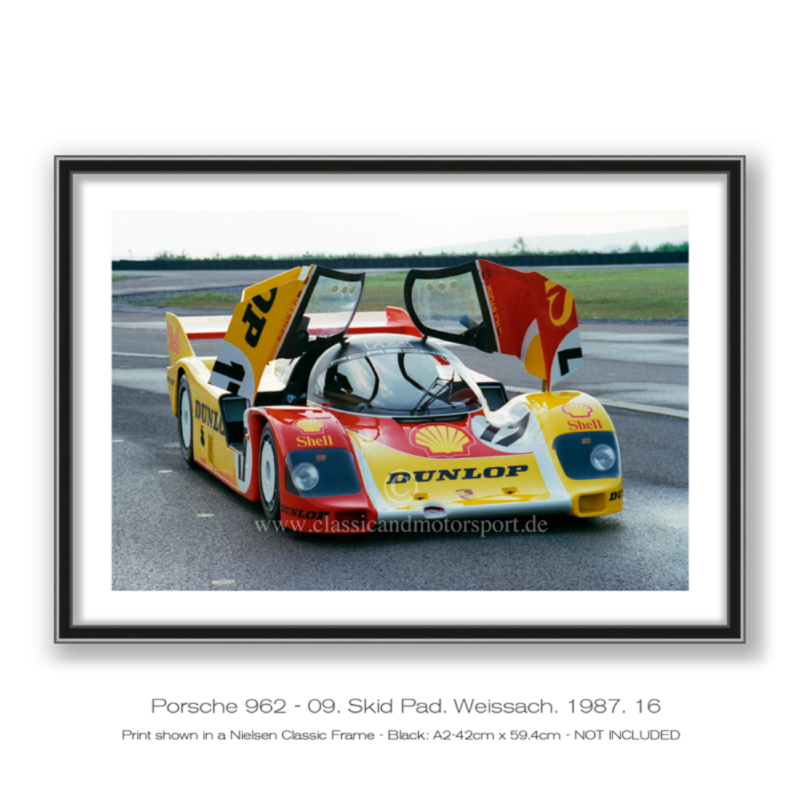 Pictures being taken on the "Skid pad" and Weissach test track. 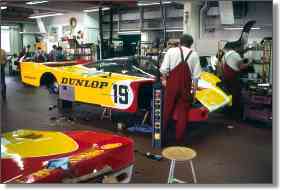 To help recognition when entering the pits each of the 3 962s had a different colour front screen graphic or sun visor. Car number 17, shown here had a black 'sun screen' graphic. 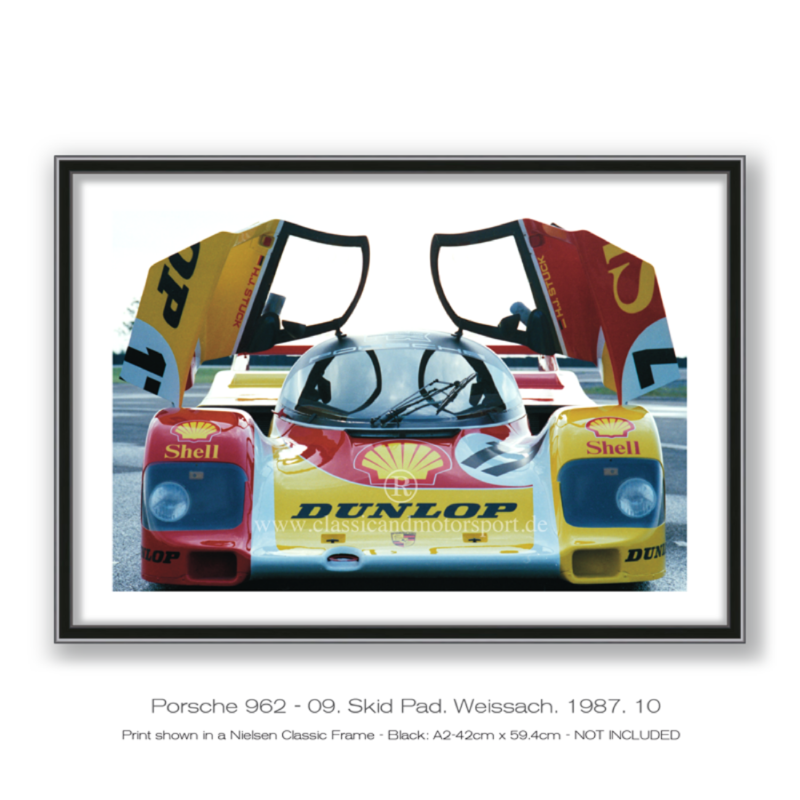 In 1988 Porsche entered a trio of 962Cs at the 1988 24 Hours of Le Mans. 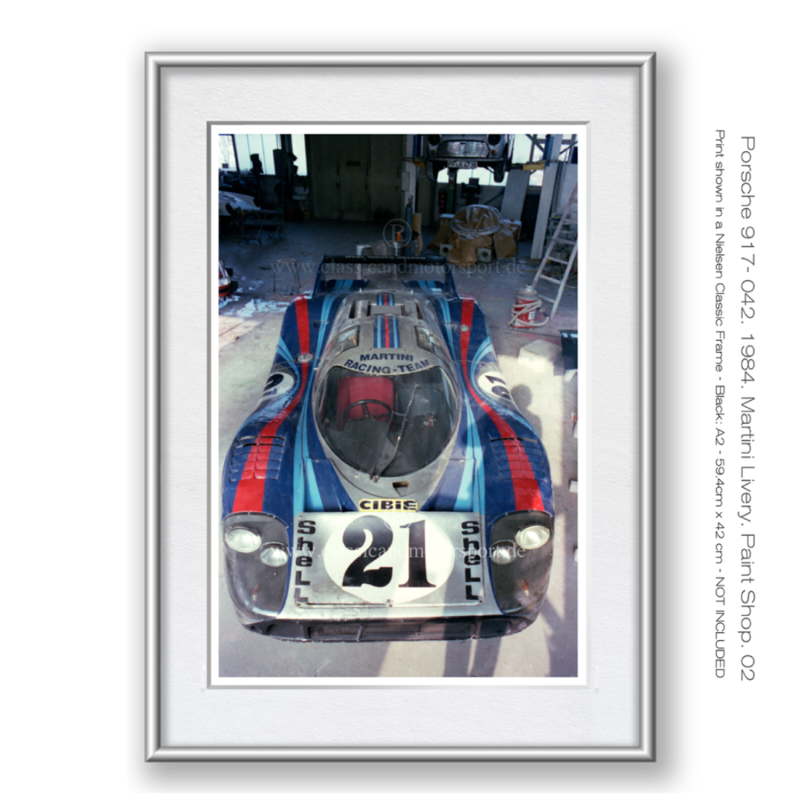 The factory entered car, number 17 was driven by Hans Stuck, Klaus Ludwig and Derek Bell was to finish second behind the Jaguar XJR9-LM though would have most probably won the race had not Klaus Ludwig run out of fuel and lost valuable time getting back to the pits. This reproduction of the original design sketch is printed on Epsons, Matt, 192g/m Archival Paper. Each print will be signed individualy.